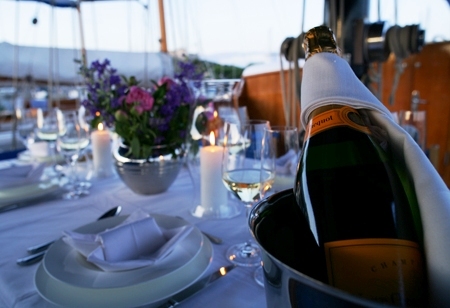 The beautiful classic sailing yacht SINTRA was launched in 1959, at the legendary German shipyard of Abeking & Rasmussen. 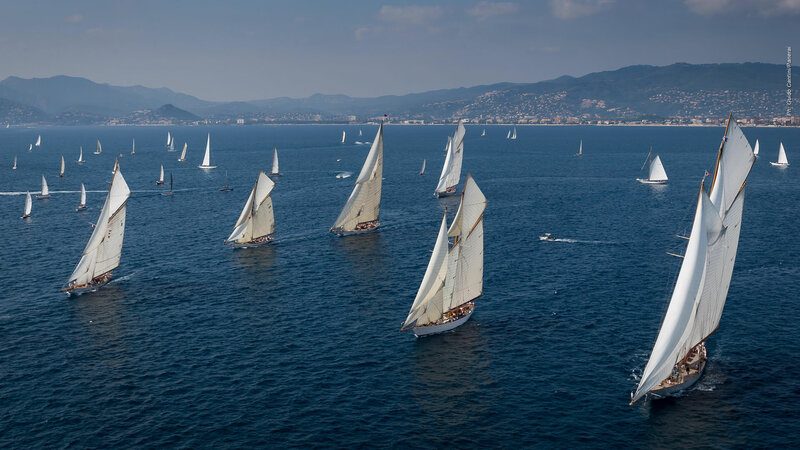 At 33m, she remains as one of the most impressive classic yachts in the sailing world and is now available for charter in the Caribbean and the Mediterranean. 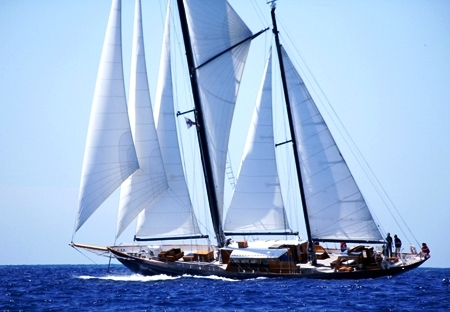 Steeped in history, sailing yacht SINTRA is a magnificent example of elegant design, classical performance and comfort. Maintained and refitted with loving care, SINTRA is a work of art and includes beautiful features such as a mahogany bath. 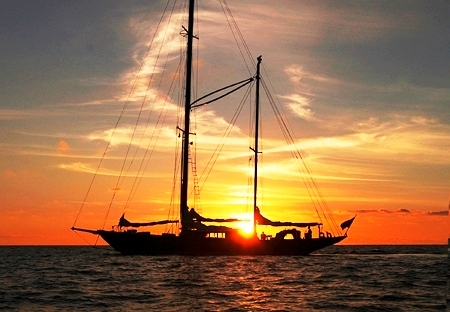 This classic sailing yacht is both fast and stable capable of 13-15 knots on a reach in a good breeze. 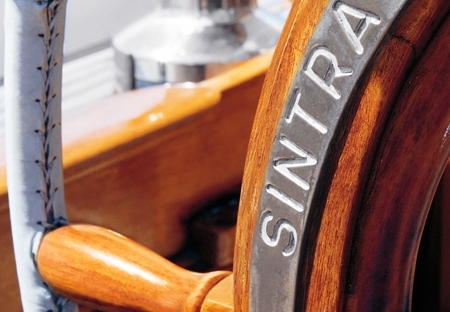 SINTRA is now available for regattas, corporate events and even transatlantic crossings. 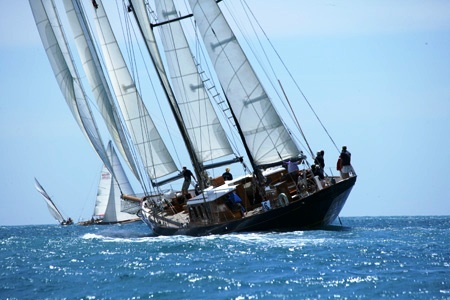 SINTRA holds an excellent record at the Antigua Race Week as well as various Mediterranean classic yacht races. Equally at ease under casual sail or at race week, SINTRA's intellegent accommdoation design can accommodate either with ease. 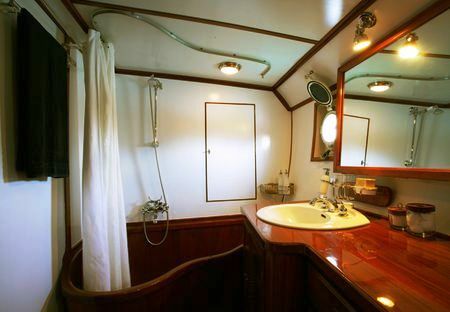 Her two double cabins are equipped with private ensuite heads. 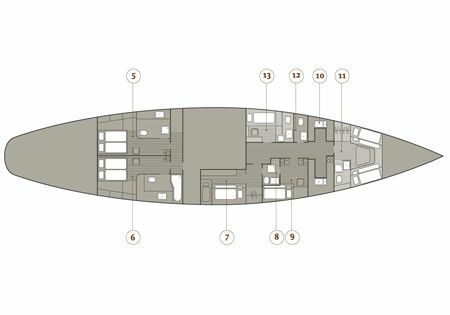 In addition to her two further bunk cabins, these cabins are also convertible to bunks for race week. SINTRA is a classic beauty in a league of her own. Come and enjoy this little piece of history in the Caribbean this winter, or the Mediterranean this summer. 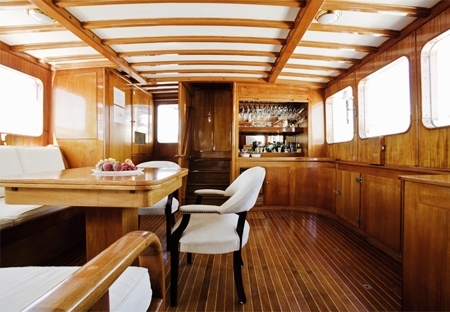 Classic sailing yacht SINTRA has two spacious double cabins both with ensuites. One double is fitted with a beautiful mahogany bath tub. 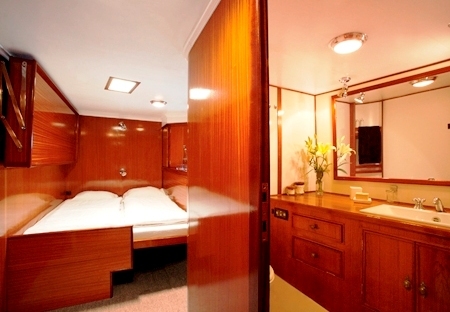 For regattas, both double cabins are convertible to twin bunk cabins. There are two further twin bunk cabins (one of which has 2.20m beds). These cabins share one bathroom. 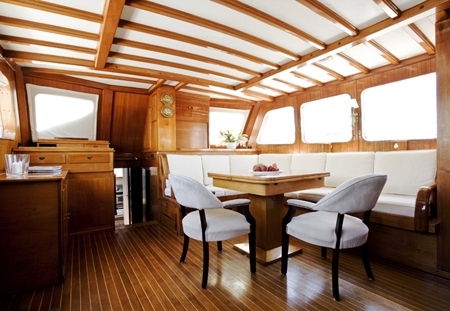 Classic Sailing Yacht SINTRA is equipped with a 6.4m Pischel tender with a 60 hp Yamaha outboard. She is fully equipped with snorkelling great and water skis. Audio Visual Equipment in the main salon includes a flat screen TV with DVD and Dolby Surround System. There are further Audio Systems with CD, radio and MP3 at Wheelhouse, in the Salon and midships. Communication facilities onboard SINTRA include Inmarsat (fax & email), Satellite telephone, Mobile telephones and VHF.